But the truth is that God had been at work reforming the church for many years before that. Luther may have lit the match that started the formal process of leading reformers out of the Roman Catholic Church and into Protestant churches, but others had been used by the Lord to spread his truth. The Waldensians preached renewal throughout Europe in the 13th century. John Wycliffe translated the Bible from Latin into the vernacular English so that it could be read by his countrymen. Jan Hus spoke out against indulgences in the 14th century, and taught on the Lord’s Supper and the doctrine of the Church. 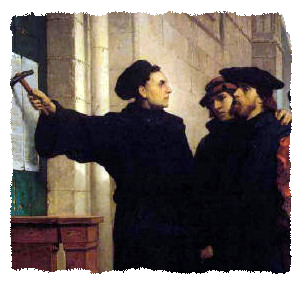 By the time Luther had come on the scene, there were also a number of theologians who were ready to teach and advocate for reformation. We celebrate a return to the Bible as the source of God’s truth. The Church is Christ’s bride on earth, but the Church is bounded and established by the Bible, not the other way around. The Church is not free to change the truth of God’s Word, but must preach God’s Word to the watching world. We celebrate a renewed emphasis on preaching, study of the Scriptures in their original languages (Hebrew and Greek), worship by the whole of the congregation in accordance with God’s Word, and limitations on Church power over the conscience. 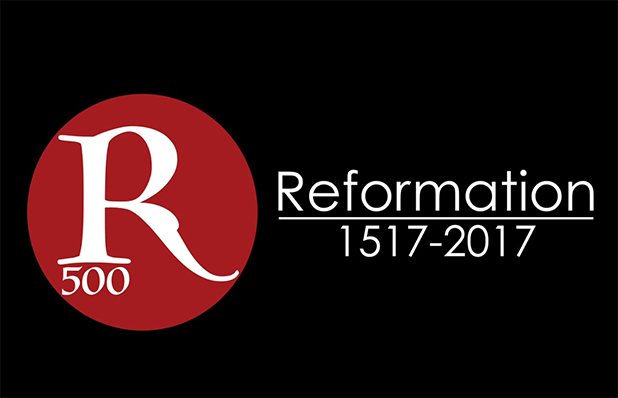 What are the main principles of the Reformation? Sola Scriptura (The Bible Alone) – That the Bible alone is completely trustworthy, the ultimate authority for our belief and practice. Sola Fide (By Faith Alone) – Salvation comes through faith alone. We are not saved by faith plus good works, or faith and the reception of the sacraments. Sola Gratia (By Grace Alone) – Salvation is only by God’s grace and stands apart from any work or merit on the part of the Christian. Solus Christus (Through Christ Alone) – Salvation comes only through Jesus alone, there is no other name given under heaven by which men may be saved. Soli Deo Gloria (To the Glory of God Alone) – To God alone be the glory. The whole purpose of life is to bring glory to God. He alone is worthy of all honor and praise. Over the next five weeks, we will be looking at these five Reformational principles in our morning worship services. We hope that you can join us for this new sermon series as we seek the Lord in His Word to guide us into all truth.